First Impression: Oh hai, it’s my TV boyfriend. Second Impression: Is he… is he keeping me at arms length? I was delighted to see that this DVD contains three full workouts. What a value! 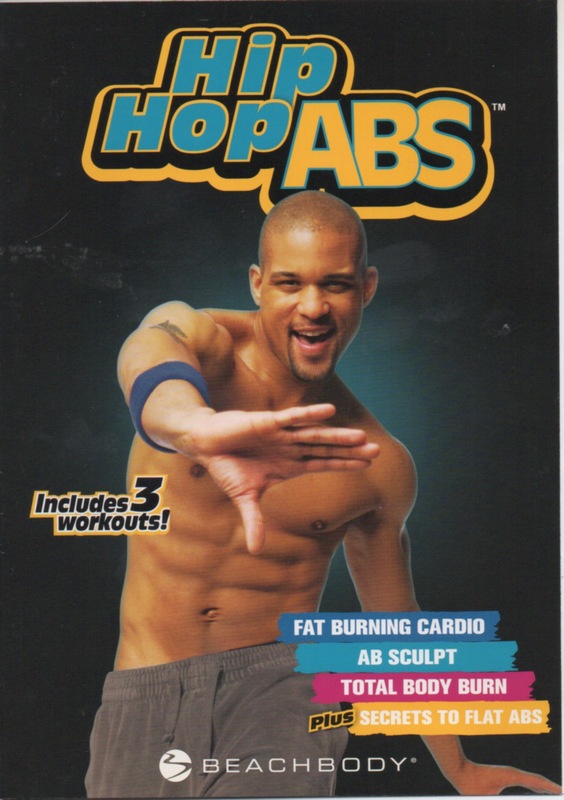 Shaun T has definitely redeemed himself from that one video that only had a five minute routine on it. I mean, five minutes? We need more time together than that, Shaun T. I deserve better. I’m worth it. We start with Secrets to Flat Abs. “It’s called absolute engagement,” he explains, with his dazzling smile. Oh, Shaun T, our relationship is moving so fast! When we get to Ab Sculpt, the DVD inquires, “Are you ready for your very own six-pack?” That makes it sound like this is an alternative to borrowing someone else’s washboard stomach, made from another person’s skin. But first, it puts the lotion in the basket. It does this whenever it is told. Total Body Burn incorporates the use of weighted gloves to add resistance and really get the most out of the moves. Of course, if you don’t have weighted gloves, you could use hand weights, two soup cans, or the two giant boxes of candy that Shaun T sent you. Oh, was that just me? Whoops. I move onto Fat Burning Cardio, which is, according to the back of the DVD case, “not your mama’s aerobics video.” This is accurate, since my mama’s aerobics video is actually a Jane Fonda one that I gave her. I don’t think she likes it that much. She goes to Silver Sneakers instead. In between close ups of impossibly toned stomachs, we work through moves like the Party Bounce, Up Rock, and the Grapevine…? Don’t worry, my TV boyfriend Shaun T manages to make this tired old staple of Bar Mitzvahs and Polka Festivals fresh and funky! The music changes, and Shaun T hoots, “This my sonnnnnng! I love this song!” It’s the Pussycat Dolls’ Don’t You Wish Your Girlfriend Was Hot Like Me? featured in their very own feather-strewn workout. Shaun T gets up in the camera to sing along, then giggles uncontrollably. I’m sure that was just for me. Happy Valentine’s Day!